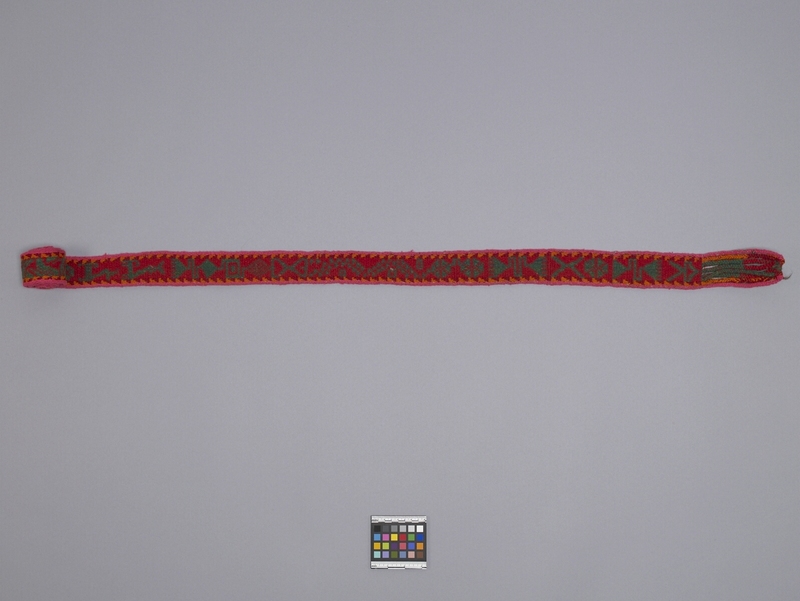 Item number H1.118 from the MOA: University of British Columbia. 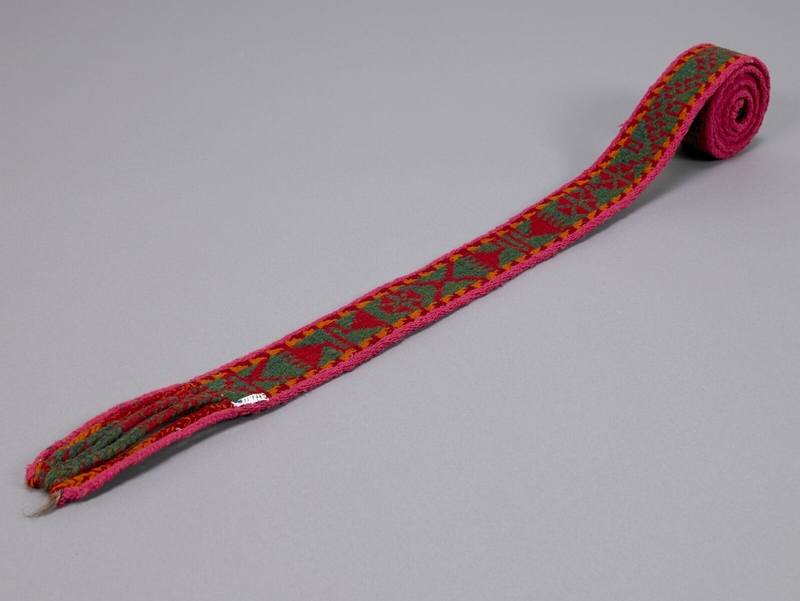 Sash with red and green geometric designs along the centre band. The inner border is composed of alternating orange and dark red triangles, and the outer edge is bright pink. One end is finished with a braided fringe that is tied together at the ends.